Etihad Cargo has expanded its cargo capacity into Spain, providing freight forwarders and cargo customers greater access to its global network along key trade routes connecting Europe to the Middle East, Africa and Asia over its Abu Dhabi hub. This expansion follows the launch of Etihad Airways passenger services to Barcelona. Etihad launched its first scheduled flights linking Abu Dhabi and Barcelona on November 28. Combined with its daily Madrid service, launched in 2015, these operations now offer more than 23,000 tons per year of cargo capacity for the Spanish market. In addition, trucking services from gateways across Europe further compliment the network, offering customers greater reach and faster delivery times. Abdulla Mohamed Shadid, Etihad Airways managing director Cargo and Logistics, said: “2018 has been a very successful year for Etihad Cargo, with positive progress achieved across our fleet and network optimization, our products development and enhancement, and our digital transformation. Etihad Cargo first started operating in Spain as on off-line carrier, sending shipments to Paris and Amsterdam via truck to feed into the Etihad network. 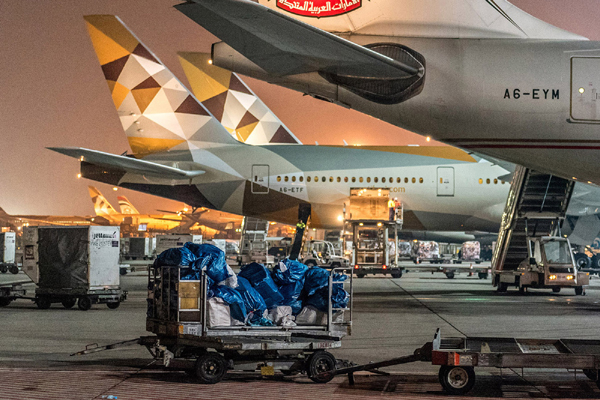 Since the inaugural passenger flight to Madrid on March 30, 2015, Etihad Cargo has provided daily air cargo services to key destinations across the GCC, Africa, Indian subcontinent, Southeast Asia and Australia. The new Barcelona service will add to this with an initial schedule of five times per week, before increasing to a daily service on March 31, 2019.